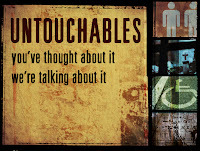 I appreciate the great discussion and feedback you gave during our Untouchables message on disability last night. I realize that this is a topic that most of us would rather avoid… and if we are being really honest… we would much rather turn our head and avoid people with disabilities as well. So what can we do? I challenge you to simply take the time to recognize that people with disabilities are all around you. I think a lot of us probably only think about people who have disabilities or special needs when we’re parking – looking for a parking spot – or we see the “short bus.” For the most part, we don’t tend to think about people that aren’t ‘like us,’ right? But when we look at the life of Jesus, who did He spend the most amount of time with? People with disabilities. People that were outcasts in life. If you would say that you are a Christ follower, let me ask you a challenging question: Do you follow Christ with your whole life or do you follow Him when it’s comfortable? Think about that. Jesus says in the Bible, “Don’t think I’ve come to make life cozy.” He didn’t come to bring us comfort. He came to bring us full life. It says in John 10:10 that Jesus came that we might have life and have it to the full. Jesus came so we could have full life, real life. He’s not as concerned with our comfort. So where do we go with this? I’m sure it will be different for all of us. But I hope some of your misconceptions were challenged and you were able to replace them with truth. So now, truth must turn into action! Get involved. Give your time. Open your mouth and speak. Learn to see people through the eyes of Christ.